Doc Rivers addresses his team following a 127-119 win at Barclays Center. It’s 75 degrees and sunny on a mid-November Friday in L.A., but the Clippers are leaving town. Facing 6,029 miles of travel, including three games in four days, the team is bound for New York City, buried under five inches of snow. This the fourth of 17 road trips the team will make this season, and while the treks tend to blur over the course of a six-month grind, each one is unique. 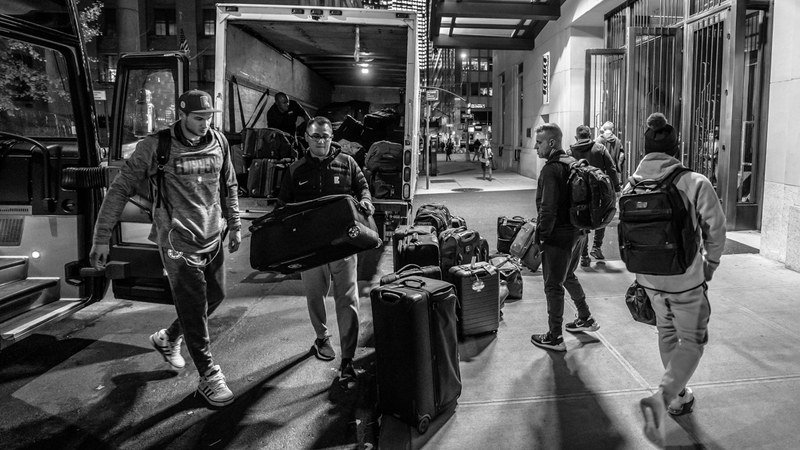 Climates change, opponents vary, and travel logistics force tough decisions for a basketball operations staff attempting to create a home-away-from-home at every stop along the way. 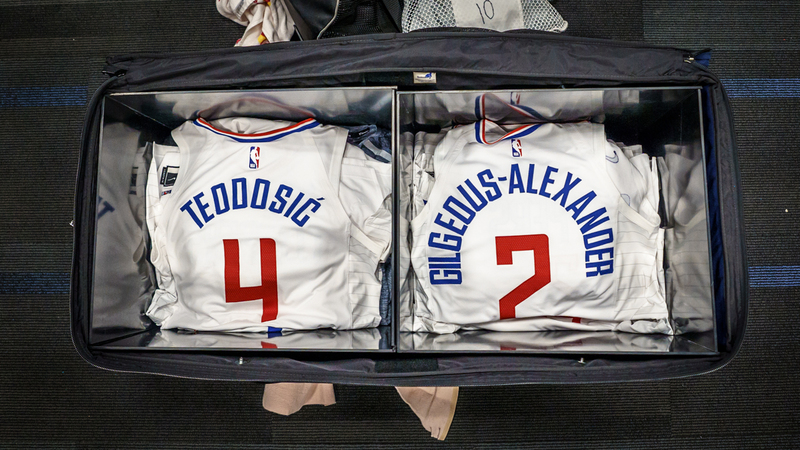 In partnership with OGIO, our supplier of high-performance travel gear, we’re giving an inside look at life on the road with the Clippers. 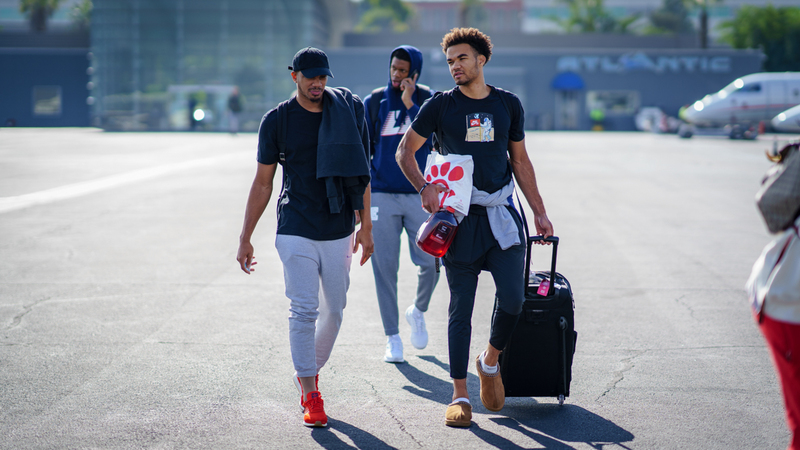 NBA teams are constantly on the move, and each member of the traveling party has a list of duties to keep them busy around the clock. 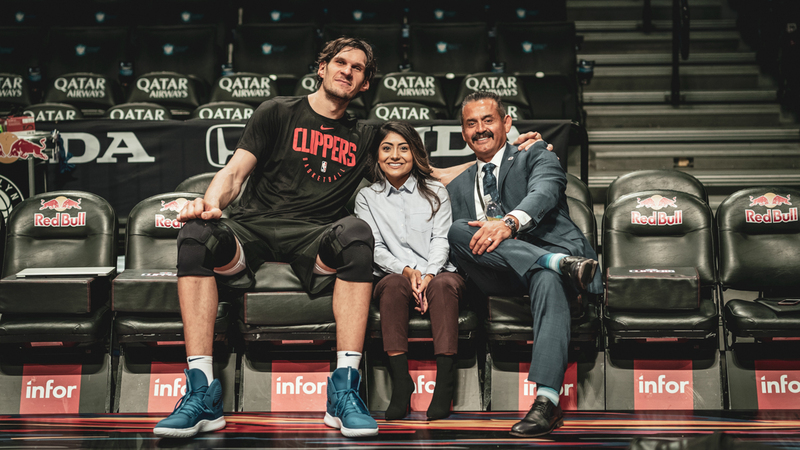 Here, Boban Marjanovic, Team Chef Priscilla Martinez and Deputy Director of Team Security Hector “The Protector” Ramirez find a rare moment of calm before the storm a few hours before tipoff in Brooklyn. 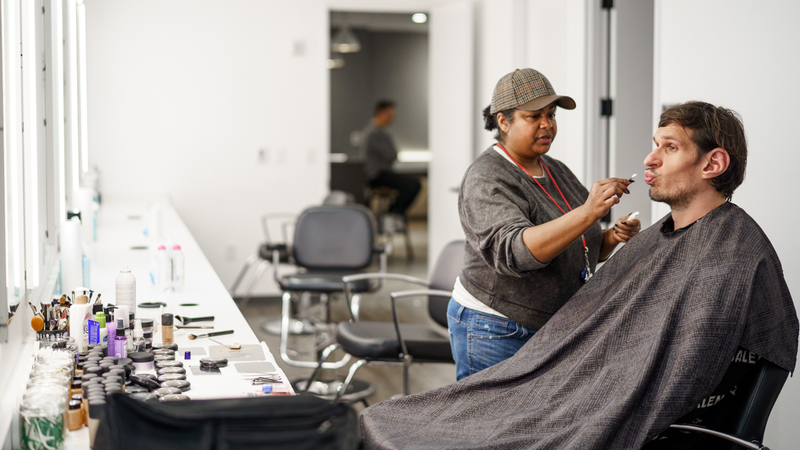 Turner Studios, the home of NBA TV and NBA on TNT, is located in midtown Atlanta so it’s become a rite of passage of sorts for players to be invited on THE broadcast when they come to town. 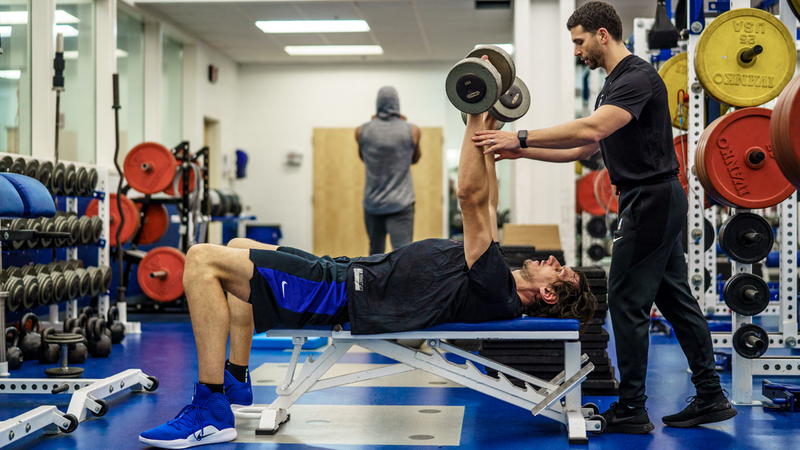 Naturally, Marjanovic got the call, as the owner of the NBA’s third-highest player efficiency rating and the co-star of the hit digital series “The Bobi + Tobi Show.” Before appearing on NBA TV’s GameTime, the budding media star stopped by the makeup room. 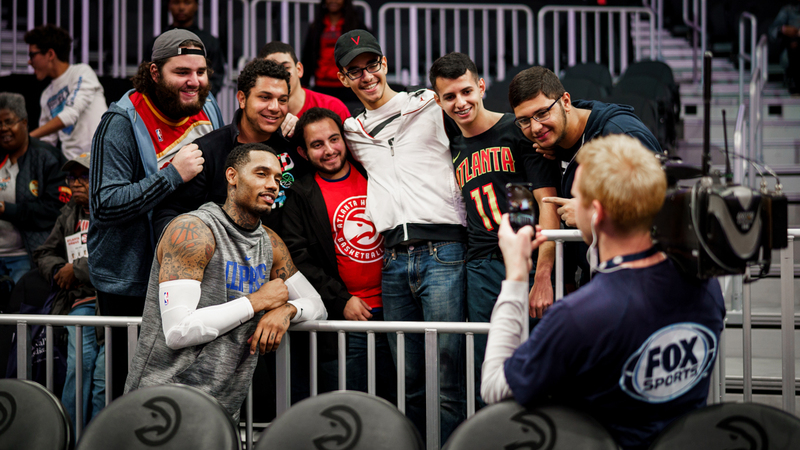 Mike Scott spent his first five seasons in the league as a member of the Hawks, and while his career has skyrocketed in the past two years (shooting over 40 percent from three-point range with the Wizards and Clippers), he said he always enjoys returning to Atlanta. Before the game, he was particularly happy to see this group of guys, whom he befriended while working out with the same trainer. Later that night, Scott would pour in a season-high 18 points, going 6 for 12 from downtown.